At UCL Innovation & Enterprise, we’ve brought together the teams at UCL who support staff, students and external partners to innovate and create enterprises. Having these teams together under UCL Innovation & Enterprise, rather than fragmented across the university, means you have one place to go to get all the support you need to turn your ideas into reality. As a team of specialists with both academic and industry backgrounds, we work with you - businesses, and UCL’s staff and students - to develop your ideas and skills. By doing this we help create change, improving the way people think, work and live. Our teams support you to build innovative business partnerships, fund the development of ideas, commercialise technologies (UCLB), undertake consultancy (UCL Consultants), develop effective short courses (formerly UCL Life Learning), and be entrepreneurial. 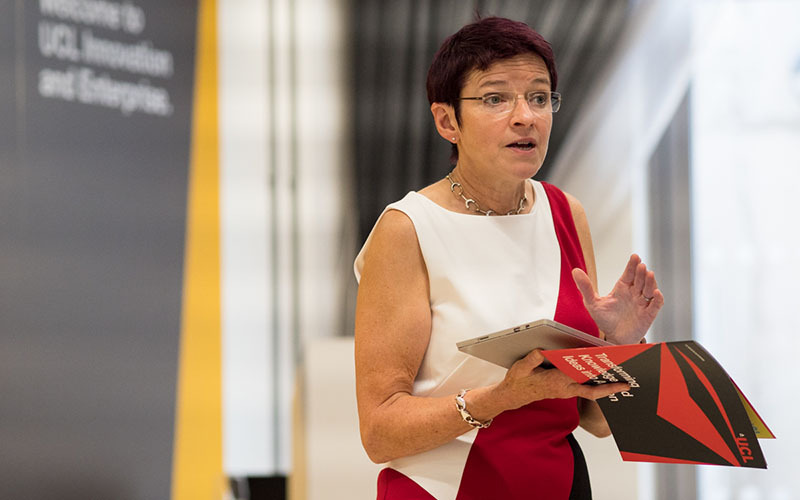 Read Vice-Provost Celia Caulcott’s blog post to find out more about what we do and how we can help you.